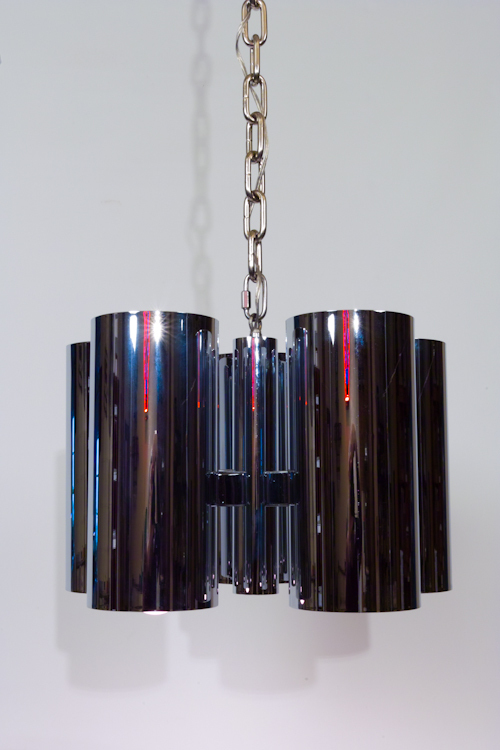 This stunning Mid Century Modern design chandelier has a 3′ chromed chain and chromed canopy. 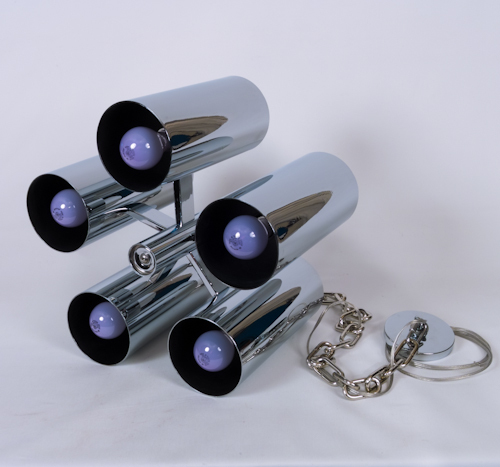 It was produced in the 60s by Robert Long Ltd. in Sausalito, California. A small firm, Robert Long Ltd., existed between the 1960s through the 1980s. Typically, their designs were minimalist, architectural, simple. Specified for not only modern commercial offices, as well as stylish modern homes, the fixtures are considered to be of highest quality. 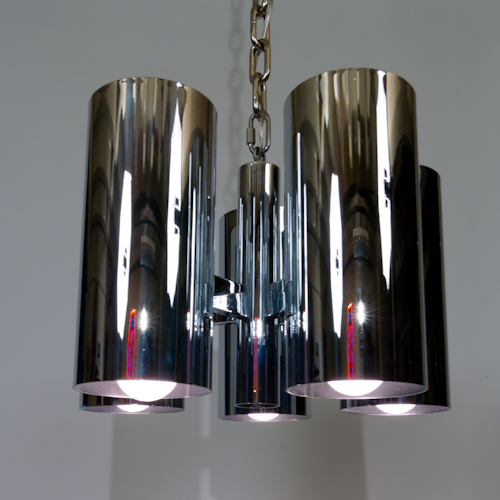 This fixture with its highly reflective chrome (bumper quality) finish is wired to excite the visual senses. We acquired it from an office building owned by a friend which housed a design firm which was moving to bigger digs. 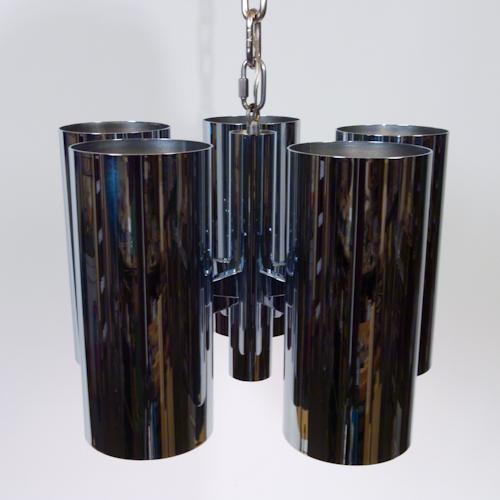 The chandelier is in excellent vintage condition features five tubular light cylinders each with one up lights and one down light, or 10 total lamps. We recommend reflector bulbs for the best effect, not included.